My sister-in-law (Hey Marianne!) asked me what my top 3 organization tips are this summer and I’ve been thinking a lot about it. There are a lot of “productivity gurus” out there in the world, and some of them have better advice than others, but because I spend so much time reading and contemplating this kind of stuff, I thought I might have something valuable to share. I thought about labelling this as “Top 3 Life Organization Tips” or “Top 3 Home Organization Tips” but I decided to challenge myself and choose the absolute best tips overall. Here's a random picture of some cute "organizational tools"
If you’ve ever asked me for organizational help, I’ve probably told you about the 2-minute rule. This is a principle from David Allen’s book Getting Things Done, which is kind of like the bible of organization/productivity. Allen says that if a task will take you 2 minutes or less, you should do it RIGHT NOW, because the time it takes you to create a reminder for the task and then actually remember to do it is probably more than 2 minutes. I’ve expanded this rule to 5 minutes and it is a life-saver. Have a 5 minute phone call you need to make? Do it now. Need to send an email? Do it now. Don’t bother putting it on your to-do list, JUST DO IT. This is another David Allen idea that I have fallen in love with. This trick is based on the idea of an email inbox. “Stuff” comes into your inbox. Some stuff is tasks, some is events, some is random ideas, and some is just junk. Your email collects this “stuff’, and you go through your email and decide what action needs to be taken. Once an email is dealt with, it no longer lives in your inbox. I know not everyone organizes their email this way--even though you should!--but the principle is this: An inbox just collects stuff temporarily, and you go through it regularly and clean it out. I have 2 inboxes. I’ll tell you how I use them and how they help me stay organized. One is a physical box (it’s actually a basket) on my dresser that says, “Reb’s Inbox.” Think of it as a pile of “Things to Go Through.” Stuff that I don’t immediately know what to do with goes in that basket. I try to go through the basket every week, although sometimes I get lazy and only look at it once a month. David Allen recommends clearing out your inbox every day. Here’s how I do it: I pick up the first thing in the inbox, decide what to do with it, and I don’t put it down until it has a home or I decide to throw it away. Then I move on to the next thing. If it’s a quote from church that I want to save, I put it in my filing cabinet. If it’s a receipt, I usually toss it in the trash. Sometimes I write ideas on blank pieces of paper and toss them in my inbox, because I want to deal with them at some point, but they’re not urgent. Then when I go through my inbox, I look at the piece of paper and decide what to do with that idea. If it’s something I want to do immediately, I put it on my to-do list. If it’s something I want to do in the future but not right now, I put it on a Google Doc. You get the idea. When you don’t have an inbox, your brain is always busy remembering things instead of being free to think creatively or problem solve. You’ll be surprised how much headspace you have when you know that all those miscellaneous tasks/ideas are captured somewhere, AND when you know that they’ll be dealt with in a timely manner. It also helps with clutter at home. The other inbox I have is in my notebook. Every day, I turn to a new page and title it “Inbox.” This is the list version of the basket I keep at home. Ideas, thoughts, notes, and other random tasks get listed here. Anything that’s on my mind, big or small, gets on this page. I can then transfer necessary things to my daily to-do list, put events on my calendar, and sometimes I even rip out this page and put it in my basket at home, to be dealt with like other physical items. The principle for both inboxes is the same, I just don’t want to bring a big basket around with me all day to put my things in. First things first: You HAVE to have a calendar. You can’t rely on random sticky notes, text messages, or other people to tell you where you need to be and when. Take 100% responsibility for your life and get a calendar. 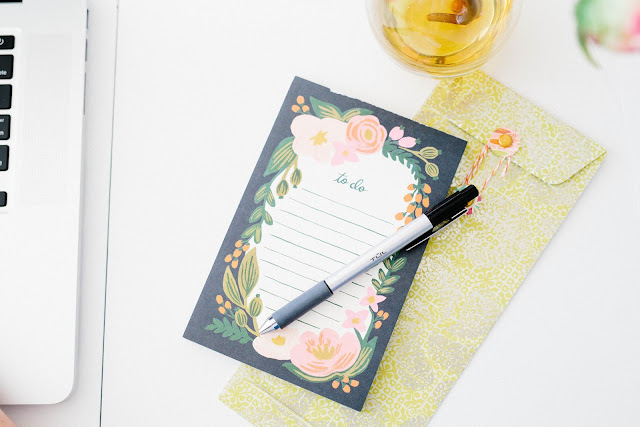 I enjoyed using a paper calendar/planner for many years, but I switched to Google calendar to better manage my schedule with my husband’s schedule, and it has worked really well for me. You can use whatever is easier for you. Once you have a calendar that you like, it’s VITAL that you use it as a hard landscape for your time. You need to know when you’re available and when you’re not. It’s all about trusting the system. If you have To-Dos on your calendar instead of just events, you won’t be able to tell when you’re really free. Listing negotiable items like “do laundry” on your calendar instead of a To-Do list means that sometimes the things on your calendar aren’t really happening and that makes it easy to ignore other appointments. Then the whole system breaks down. You need to know that when you look at your calendar, the time that’s blocked off is really blocked off. This principle has honestly changed my life because I can schedule appointments with total confidence. I never worry that I’m double booking myself or that I’m going to forget something, because I know that all my necessary appointments/meetings/events/etc are captured on my calendar. I think it’s appropriate to put “Reminders” on your calendar, but I think that only really works if you use something like Google calendar where you can turn off the reminders when you’re looking at your schedule. I hope this is helpful! 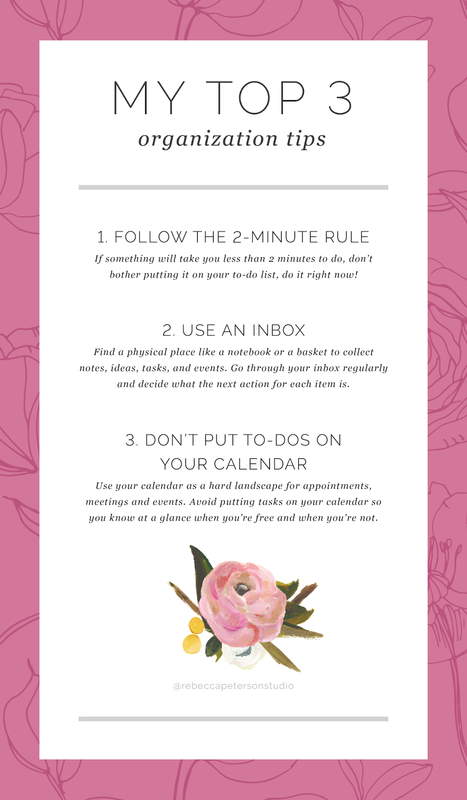 Here’s a cutesy graphic I made with shortened versions of all these tips. One of the worst parts of job searching is revising and redesigning your resume. If you don't know what you're doing, it can be overwhelming to try and summarize all your skills and experiences on one sheet of paper. As a designer, one of the requests I get most often is for resume design. I love layout and design and I love building resumes for other people, but I honestly don't think you need to hire a designer to do it. So here's what I'm going to do. 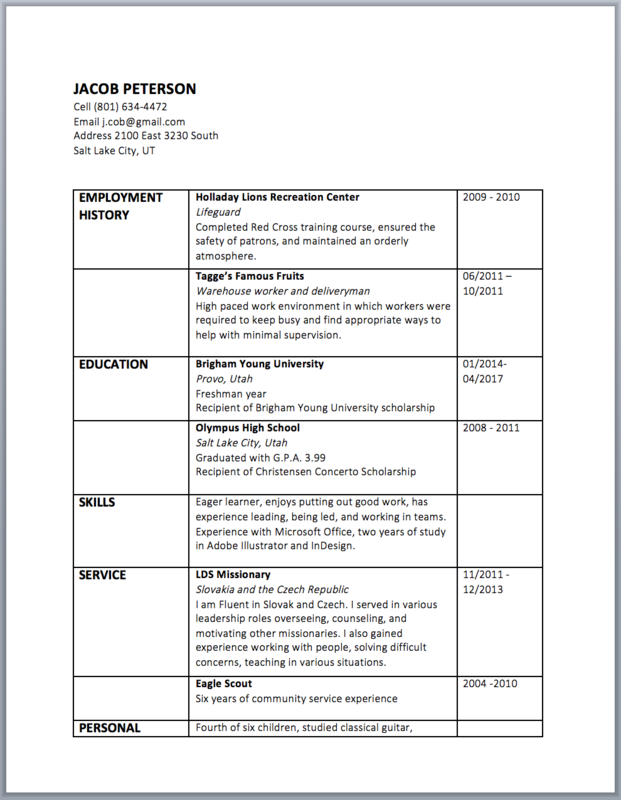 I'm going to show you how I would design a basic resume using Microsoft Word using the steps listed below, and then I'm going to outline a couple resources that will take your resume from zero to hero. Shoutout to Cob for letting me use his resume as an example! 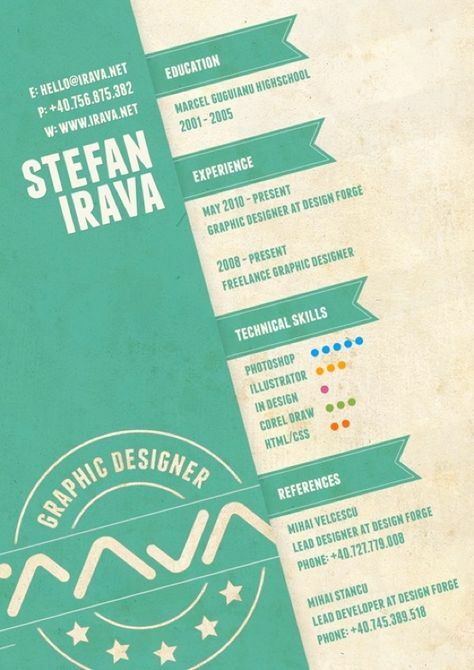 This is how the resume looks without any formatting. Sadly, it's better than some other resumes I've seen, but I bet we can make it GREAT. Resumes should only be one page. This is probably common sense, but I've seen lots of people send in resumes for jobs with a two (or more) page document. Unless you're submitting a CV as qualification for a Ph.D., there's really no need for a long resume. I'm sorry if you're a mega genius with infinite experience, you're going to have to cut something out and keep it to one page. I made the entire text one point size smaller (12-11) to fit it on one page. Easy! The most important thing on your resume is your name. You don't want an employer to fall in love with you and then forget who you are. Make your name 150% bigger than the rest of the text on your resume and you should be fine. You need to decide what's the next most important thing, I would say that's experience and education. To add some clear hierarchy, I made Jacob's name much bigger and bolded the title of each category. It would probably help if I arranged the dates differently, since those aren't important. I'll get to that in a minute. This is a general rule of graphic design. Things are easier to read when they're arranged in groups. We want employers to be able to skip from section to section easily. This is done by separating the different categories. This is probably a more general design tip, but it's better not to have something aligned at the center. You could arrange this table several different ways. I like more white space so I put the category titles to the right of the description. See what works best for your resume. Again, I'm sure this is common sense, but try not to use some wild and crazy typeface. Serif or san serif is fine, but don't combine them unless you really know what you're doing. These are some of my favorite "traditional font families": Goudy, Didot, Garamond, Calibri, Futura, Gill Sans, and Segoe UI Light. (When in doubt, use a font that's already on your computer. Those are made by experienced type designers and they're guaranteed to be easier to read. I didn't want to make this resume too complicated, so I kept everything in the same font family. I used Calibri Bold 13pt for the titles, Calibri Italic 11pt for the subtitles and Calibri light 11pt for the body text. Jacob's name is 18pt, but I might make it even bigger. Employers are spending less than one minute looking at your resume, so if you split information into bullets, they'll be able get through it faster. However, if you put everything in bullets, it gives you lots of weird white space. Just use your judgment and you'll be fine. It's amazing how much better it looks with just a few bullets! I would only use color if you're applying for a creative job. Most established corporations see color as immature and unprofessional. If you do use color, use something soft like blue or green and avoid neons. Remember to avoid doing something full-bleed unless you want to pay twice as much every time you print your resume. 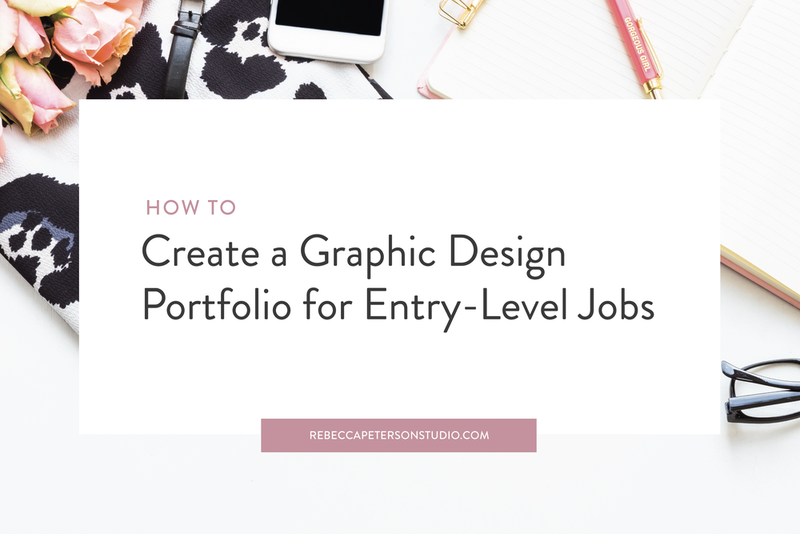 Once your resume is organized the way you like it, you have to use your own style to give it some flavor. This might be scary, but I promise it's not hard. Just google search "resume design" and copy a few things you like. This is what the resume looks like without borders. Pretty nice, huh? I merged the two cells of the "personal" category since there was no date and I added a bottom line beneath his name. It looks good, but there's still one more thing I want to try. Here I just changed the formatting of Jacob's contact information and added another line at the bottom! Voila! 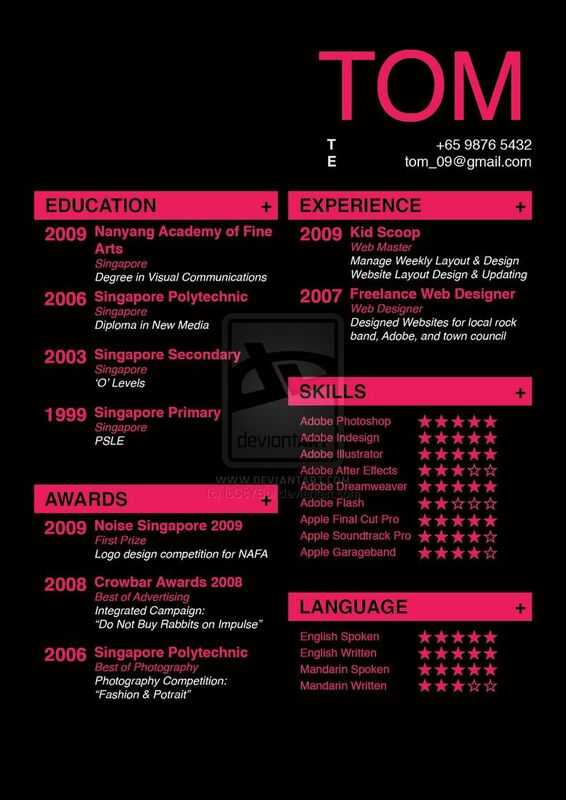 A well-designed resume in 60 minutes. Last thing: TAILOR THE DESIGN OF YOUR RESUME FOR THE JOB YOU'RE APPLYING FOR. If you have a LinkedIn account, they have a free resume builder that has some great customizable designs. 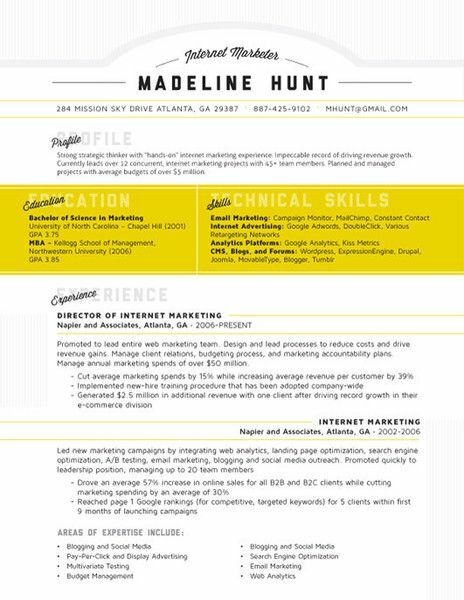 I liked this BuzzFeed article about resume design. 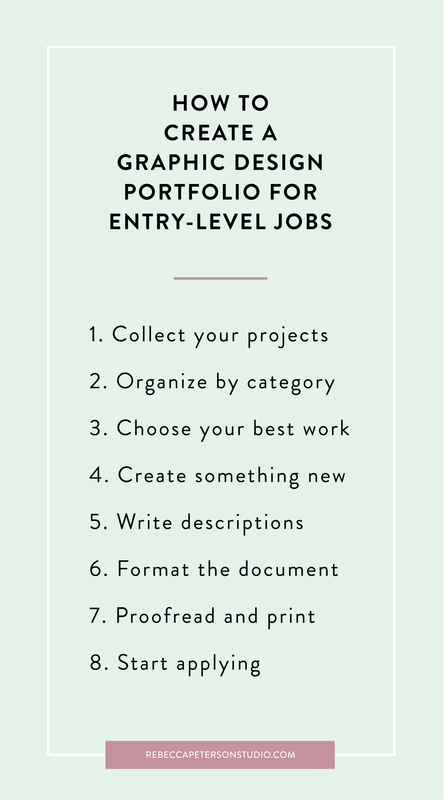 Use one of these ideas as inspiration for your own resume! Did anyone make it to the end? Haha thanks for reading! I'll be adding more resume resources to this list as I find them. Good luck! 1. Send your clients a weekly newsletter. Too busy to do it weekly? Try monthly. Current AND PAST clients. EMAIL IS FREE, USE IT. 2. Send a physical, in-the-mail holiday card to all of your clients. Missed the holiday season? Try a Valentine's Day card. Or an Easter card. Or an Earth Day card. Or anything. Put a picture of your business or product AND your contact information. Make a FREE offer of something if they call by a certain date. 3. Make a list of all your current clients who work in your same industry. Anyone who works with or for similar companies is GOLD for your business. Make a list now while you have the time. 4. Call/email your office and see how you're treated as a customer. Seeing where you get held up by the system could be very eye-opening for some businesses! 5. Post something on your Facebook page. Post about why you started your company. Post about your new products. Post about your favorite client. It doesn't really matter what you post, as long as it's interesting and relevant to you! 6. Put a video on your website. Explain how your business works, show some client testimonials, ANYTHING. Just show people what you're all about in a fun and interesting way. //BONUS// Speaking of your site...do you have one? If you don't have a website, GET ONE. 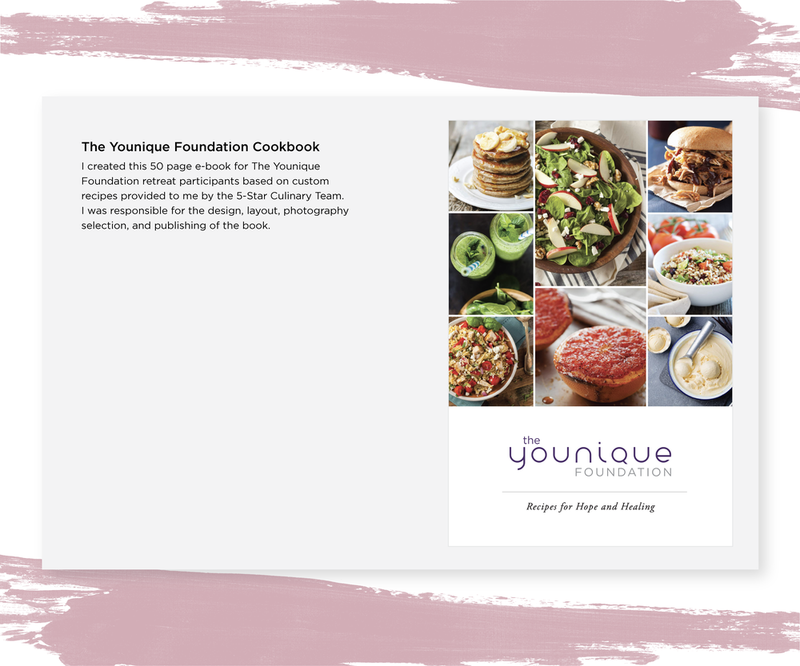 Build one for free on Weebly.com, Wix.com, or pay $100 and make one on Squarespace.com. It doesn't have to be fancy, it just has to exist. 7. If you do have a site, sit down and spend an hour working on it. Read EVERY word on EVERY page. It is embarrassing how many sites have misspelled words and links to dead pages. Take the time to look at every single thing on your site and make a note of what needs to change. 8. This might seem silly, but is there a picture of YOU and YOUR TEAM on your website? There should be. Do you look happy? Remember, people don't buy products, they buy values. Show your clients who you are and make a personal connection before selling them anything. 9. Search yourself on Google. Search your company on Google. Read the reviews. Where do you rank when someone searches "your industry, your city"? 10. Update your LinkedIn page. Find interesting groups in your industry and join them. Read up on current issues, popular products, and exciting events coming up. Show potential clients that you are well-connected. 11. 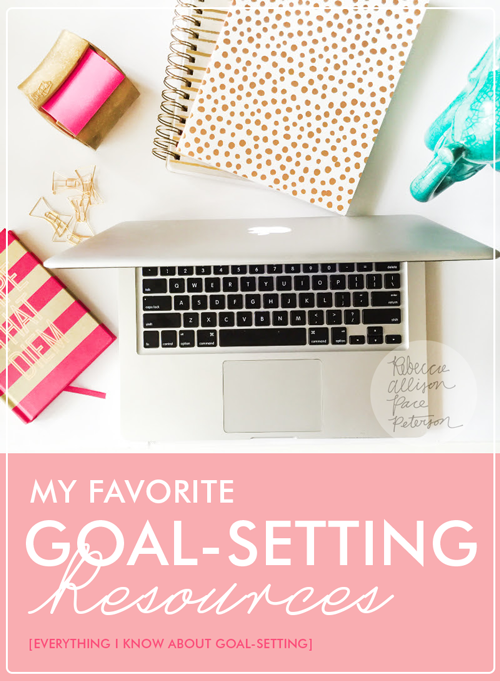 Set GOALS for new clients in 2015 and make a plan of how you will get them. Do you have a plan for growth? This may seem basic, but the experts say that half of all business owners have ZERO plans for expansion in 2015. Which half are you in? 12. Make a list of the things your company offers that are different from everybody else. Is it convenient hours? Outstanding customer service? Anything? Think critically about your business and what you can do to help it improve.